Q&A about Cover Wars and the Scavenger Hunt Giveaway. What's the cheapest way of having your book featured on our site for an entire month? Cover Wars starts at $5. How does Cover Wars work? All the participating covers compete for first place. Readers of this blog and anyone else that hears about the competition are encouraged to vote for their favorite cover(s) each day. Although quality of the covers plays a definite role in who wins, those authors who leverage their personal network have a good chance of winning. The more who share this campaign, the more who will check it and that means exposure for all authors involved. The exposure we bring as the Masquerade Crew is pretty awesome, but the true power of Cover Wars are the authors themselves and their fans. Let's pull together and support one another. You can add a Scavenger Hunt and a Giveaway. Cover Wars and the Scavenger Hunt (minus the Giveaway) costs $15, and for just $5 more you can be featured in the Giveaway. Why would I want to pay $5 for the giveaway? There are several more features added to the Scavenger Hunt when you participate in the Giveaway. For instance, your cover will be featured in a pic on the Rafflecopter widget. Also, your cover and a short blurb about your book will be placed in the Scavenger Hunt post. Tweets that specifically mention your book will also be used to promote the hunt. Do I have to give away a certain number of copies? What formats? What you give away is completely up to you. We will simply provide you with email addresses of the winners. The rest is up to you. Although paperbacks are encouraged, they are not required. If all you want to do is give away a few ebook copies, that's certainly doable. Remember, the more ebook copies you are willing to give away, the more chances you'll get reviews. What about the Scavenger Hunt itself? How does that work? Players of the hunt are encouraged to check out your book on Amazon.com. Once there they can answer a question about your book. This means people will be looking at your book and not just with a cursory glance. They will searching for an answer. I can't think of a better way to get people to check out your book. Also, they have the option to answer a question from your website or blog. Many authors choose a page about their book, but any post on your site will do. This is an opportunity to share a little of yourself with our readers. But the two scavenger hunt questions are not the only things that come with the scavenger hunt. Players of the hunt can follow you on Twitter and Facebook. In order to give us more time to promote the hunt, starting this month we are asking authors to provide a little bit more info. This will speed up our processing time by about an hour. That hour will be spent marketing the hunt, instead of laboriously putting the hunt post together. Make my job easier, and I'll support you all the more so. Another advantage to this new method is that you don't have to wait for an email from me. Once you purchase a slot in the scavenger hunt, you can fill out the accompanying form right away. One disadvantage—though a small one—is that filling out the form will take a little concentration on your part. Just remember how much time you are saving me and the fact that I won't be sitting on my hands with all my new free time. If you have any questions about the form, please email me. I get a lot of email, so if I don't respond right away, don't fret. Send me a second email if I don't respond within a few days. 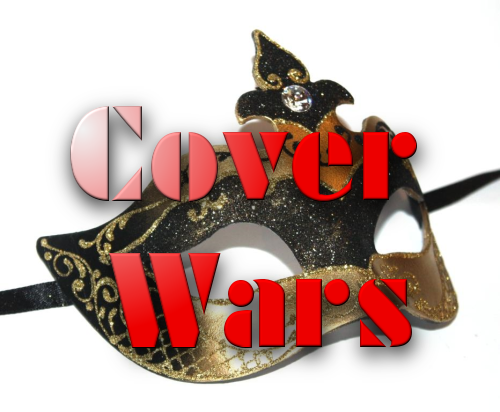 Cover Wars campaign, click HERE.